The class name has changed from Active Shooter CCW to Defensive Concealed Handgun. 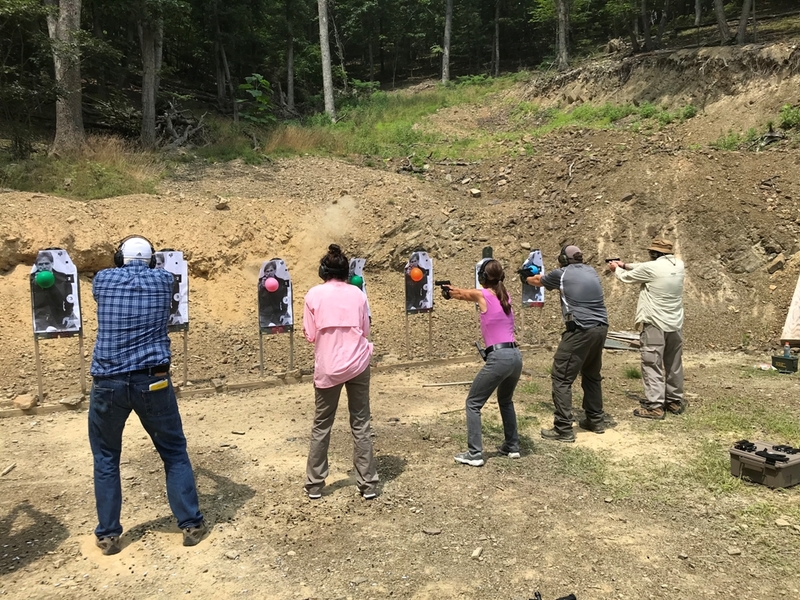 The class has certainly evolved since 2016, but a lot of the content was familiar as to what you’d expect for a concealed handgun class. Scott does a great job of setting a level playing field for everyone… lots of theory on why we carry, how to carry, what to carry, etc… The difference between good gear and bad gear, what works and what doesn’t… with the realization that everyone is different. What works for me, may not work for you depending on a wide range of factors. Scott does a great job of teaching “a way,” but readily admits that his way is not the only way. 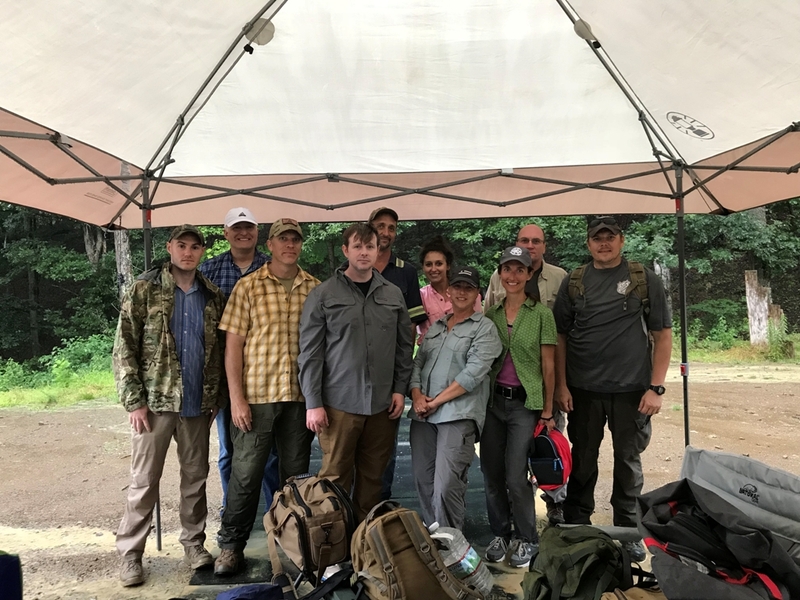 This is a class for beginners and experienced shooters… we had a wide range of ability at our class and everyone made it through successfully. Beginner shooters will get an excellent foundation on shooting basics, handgun grip, sight alignment, trigger pull, the draw stroke, etc… Advanced shooters will enjoy the different drills and definitely be able to identify weaknesses in their own shooting and firearms manipulation as they move through the different exercises. Still a great option for those that can do so. Shooting at night is something most of don’t get to do often (or at all) which is really unfortunate given the amount of “bad things” that happen after hours in the dark. Scott sets up several different shooting scenarios and use of handheld and weapon lights. There are multiple techniques to master here, and there is no one size fits all. We were able to learn all of the different techniques and then apply them to see what worked best for the individual shooter. There were also a few scenarios with just the blinkers of a car running… it’s another great drill that simulates a real world environment and the challenges that come with positively identifying targets under limited or blinking lights. Note: We talked a lot about the power of current flashlights as they are now at 1000 lumens. 1000 lumens is enough to temporarily blind most people for several seconds (more like half a minute). Scott ran a drill where he would give an individual shooter a burst of light directly at your eyes. After that you were given instruction to draw and fire on a white target when you could see it in the dark. A few students were able to spot that target after 10-20 seconds… but there were many of us that stood on the line for a good 30-40 seconds before regaining enough eye sight to spot the white of the target and positively identify it. It was more food for thought around non-lethal responses. Scott runs a great version of this drill that really shows the distance that can be closed in the time it takes to draw and fire a handgun. When shooting well, the 2 second / 20 foot rule holds true… but miss clearing your cover garment or fumble the draw… and 2 seconds turns into 4 seconds and more like 40 feet. Class size is limited, and that is a good thing. We ran a single relay all day, so everyone participated in every exercise. There was no downtime waiting for a relay to get off the line etc… lots of shooting time for those present. One of the primary strengths of this class are the real world examples that accompany each instruction block. Again, Scott does a great job of bridging the gap between real world experience and what happens on the range. The real world examples provided lots of background as to why we were running the drill to begin with. I’m convinced that most of us will be able to avoid a violent encounter by just paying attention to our surroundings. So many of us walk around totally oblivious as to what is going on around us in our daily lives that most people miss the signs that violence is headed our way. But the real world examples are powerful. They are events that many of are familiar with and have probably watched on YouTube several times. Spend some time watching these violent encounters on YouTube, the violence happens very quickly, but there is almost always a pre-curser or warning to the violence that is about to take place. The class has a good balance of “target shooting” and practical self-defense shooting. 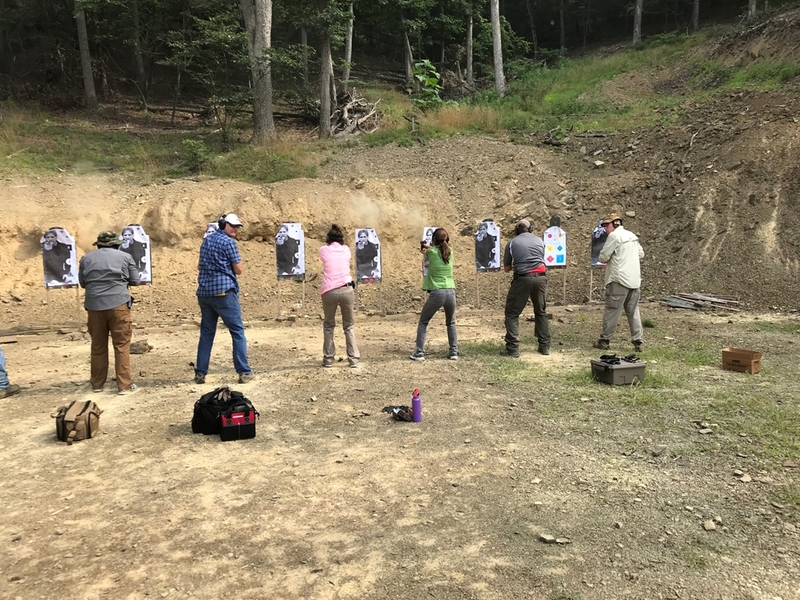 After most of the drills, the class always circles back to the basics of the draw, pistol grip, sight alignment, and trigger pull. I like this, some may not, but getting back to fundamentals always seems to allow me to “reset” from the previous exercise and focus on the basics before the next drill starts. 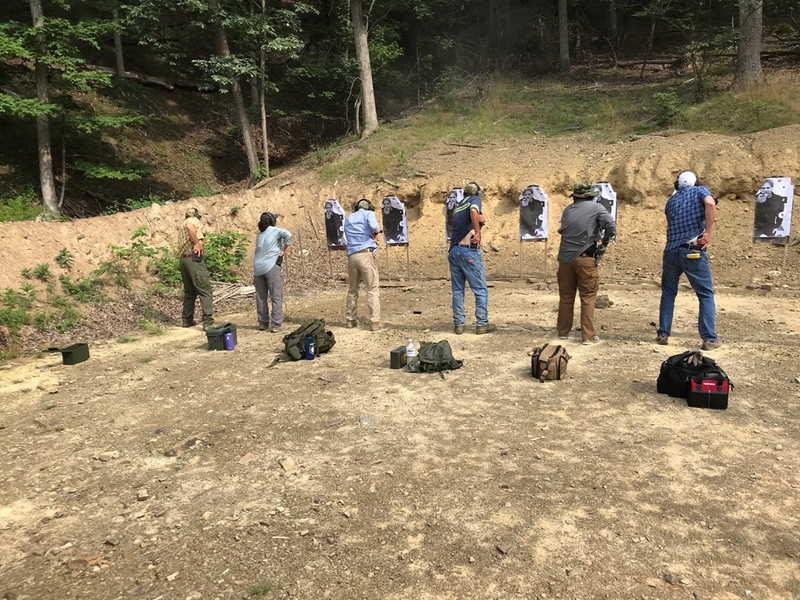 All the firearms ran well in this class… it always amazes me how poorly some firearms run when putting a lot of rounds downrange, but everyone had good equipment in this class and there were no problems. We did see some malfunctions caused by steel-cased and dirty ammo, but it wasn’t consistent enough to slow the class down. Those students just got extra malfunction work. I can’t recommend this class enough to the beginner or advanced shooter. If you carry or are thinking about carrying a firearm to protect you and yours, this class is an excellent primer and an even better refresher course for anyone who takes it. There are lots of things that make a tactical class great… I continue to be impressed with MVT’s class offerings and progression. I’m also amazed at the caliber of students that show up to these classes. This class in particular had students from all walks of life and the side conversations that took place during breaks were just as instructive and enlightening as the primary instruction blocks.